Things are winding down in the garden for summer produce, with our cooler weather being the largest indicator that the end is nigh. My cucumber vines gave up all of a sudden when we had a cold snap last week, so I snipped about 8 of them in stages over the course of 4 days. About 10 tomatoes were ready, but there’s double that still green on the vine. I’m guessing those will need to be ripened inside unless we get some warm sunshine next week. 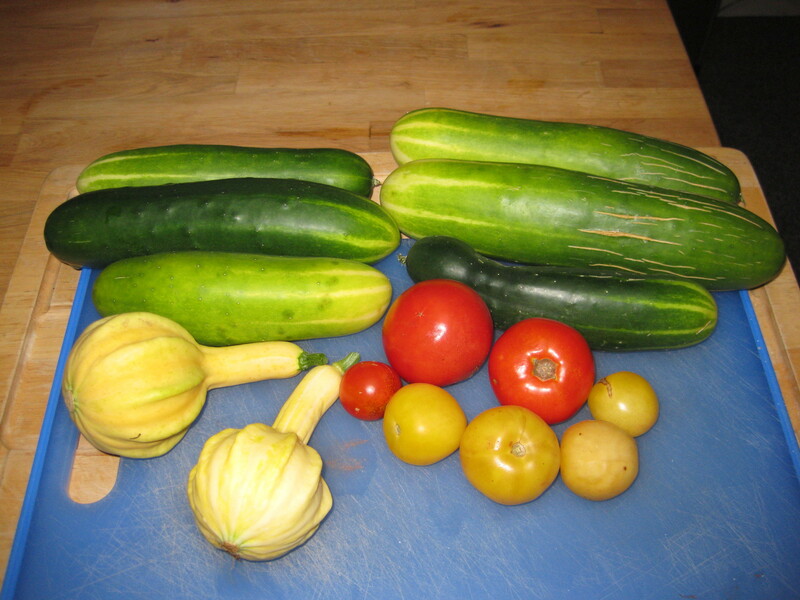 In general terms of harvesting, and for documentation’s sake, we had a lot of peppers, cucumbers and squash (despite the pests) in the past month. So many peppers we decided to can 12 jars’ worth of jalapenos and long green hots for the first time. Much easier process than we expected. The potato bags were emptied a few weeks ago and we ended up with about 6 lbs. of yukon gold and fingerlings altogether. Beans have been coming in OK, but not as prolific as in years past. 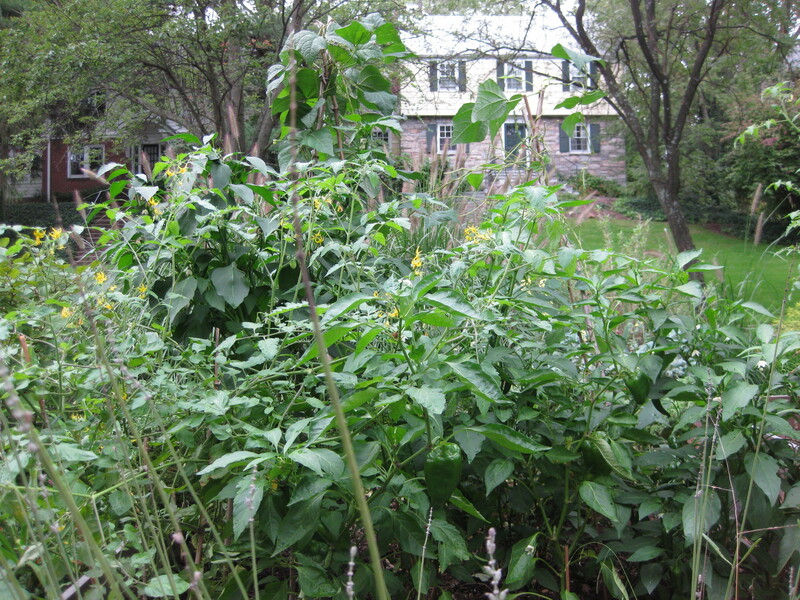 Part of that was due to the location of the bush beans – they were too close to the tomato jungle and didn’t get enough sun. 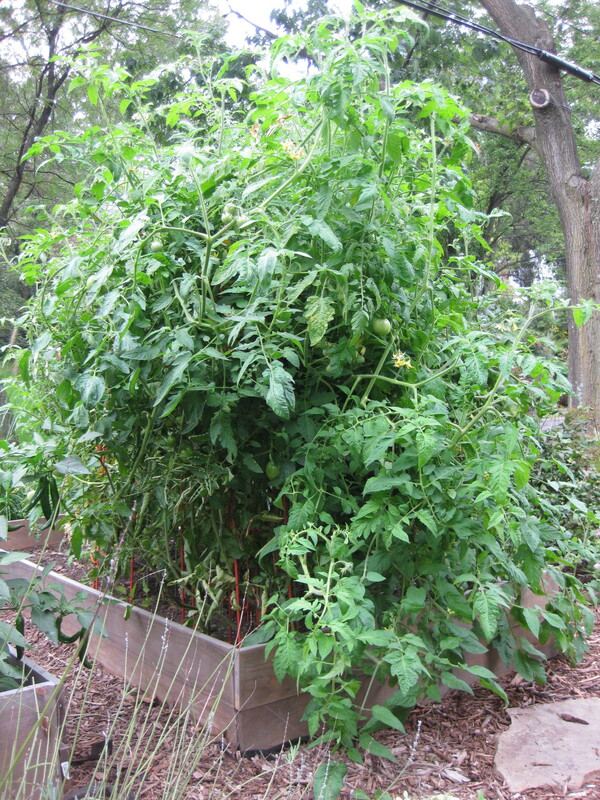 Tomatoes certainly didn’t have the volume of fruits I was expecting from the amount of plants I put in the ground. Why? It got too crowded in the bed too fast and the fruits struggled to get their share of sunlight. Next year I’ll plant less and space them further apart. 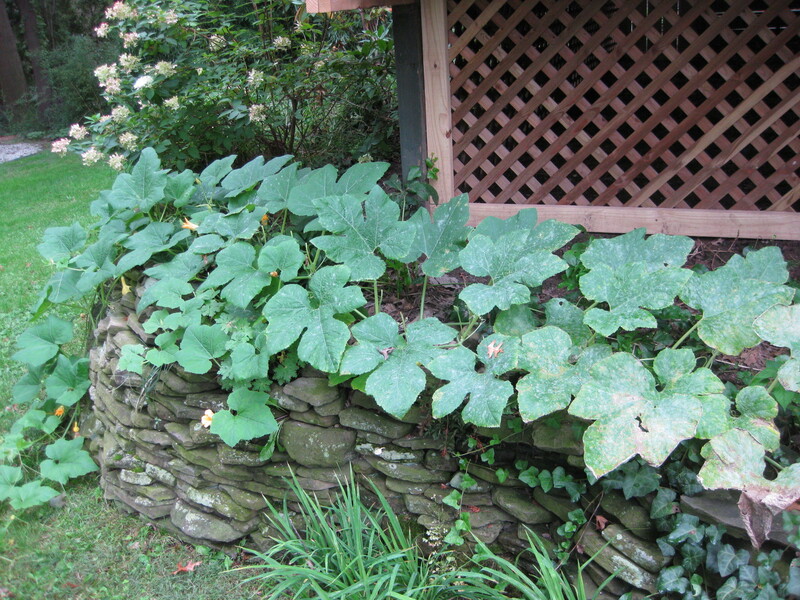 And I had a volunteer squash vine show up on the side of the house. It’s apparently a perennial. I remember it from last year, but thought I had pulled the vine at some point. Nice surprise at the end of the season to get some yellow squash. This location is getting a proper bed next year.